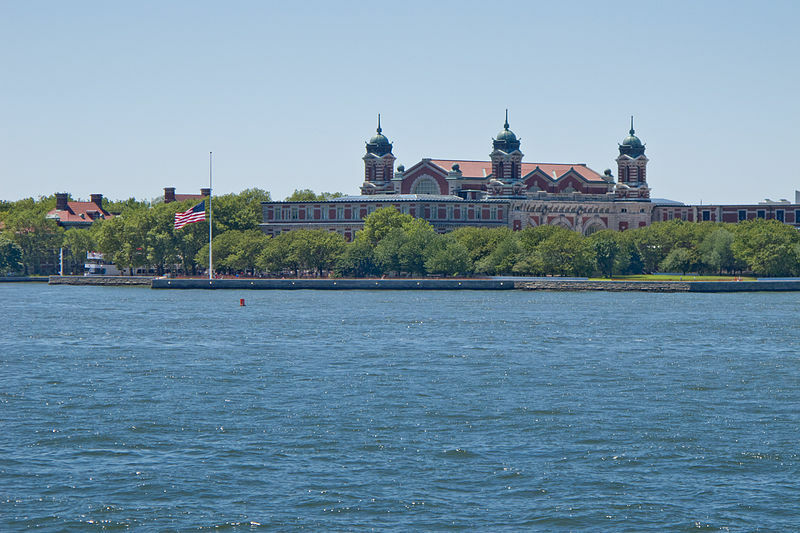 About two weeks ago I mentioned the layoffs at Ellis Island National Monument. At first I was cautiously hopeful that Ellis would not be closed to the public for the six months the Park Service originally estimated. Apparently it will indeed be off limits until Spring 2013. Now federal officials are saying that they must move 1.7 million artifacts from the island to prevent their damage. These items, relating to the arrival in America of nearly 12 million immigrants between 1892-1924, will be held in Maryland. No word yet on when they may be returning, but I imagine it will not be until late 2013 at the earliest. The biggest objective right now is rebuilding the island’s infrastructure and making the buildings safe for visitors. This is a really sad story. I am no longer a volunteer at Ellis Island National Monument and so don’t have the inside bead on the extent of the damage caused by Superstorm Sandy I once might have. All I’ve had to go on has been a phone call from a friend saying that he has been laid off for an indefinite period and what I can glean from the news. Last week it was announced that the Liberty and Ellis Islands would remain closed through the end of the year. Today the news is that 400 have been laid off, perhaps though April 2013. That would be a full six months closed to the public. I cannot tell you how sad this makes me. What hurts the most is that the it is now the holiday season–the busiest time of the year at Ellis. I know that by the end of the year is unrealistic but I hope they can manage to get at least partial visitation up-and-running in early 2013. For one thing this touches a great deal of the New York economy, as anyone who as ever been to the Battery knows. We shall see.